L&T Capacitor bank is conform to the latest standard IEC831-1-2 440V & 525V, standard & heavy duty type designed to withstand high overload current & voltage. Safety features like PSD and Self - Healing to ensure long life expectancy. 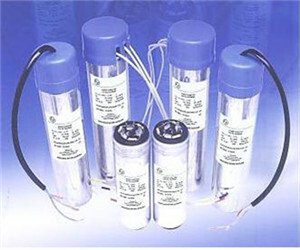 Metalized polypropylene capacitors from 1kVAr to 25kVAr in cylindrical configuration. Those capacitors come with stacked winding and are impregnated with a biodegradable soft resin. These capacitors are self healing type. Over pressure disconnector and finger proof terminals. Used to provide effective power factor correction in industrial and semi industrial applications.